Coco’s Lunch for Kids has been igniting the hearts of children around the globe and enjoyed a cult following amongst grown-ups for over fifteen years! 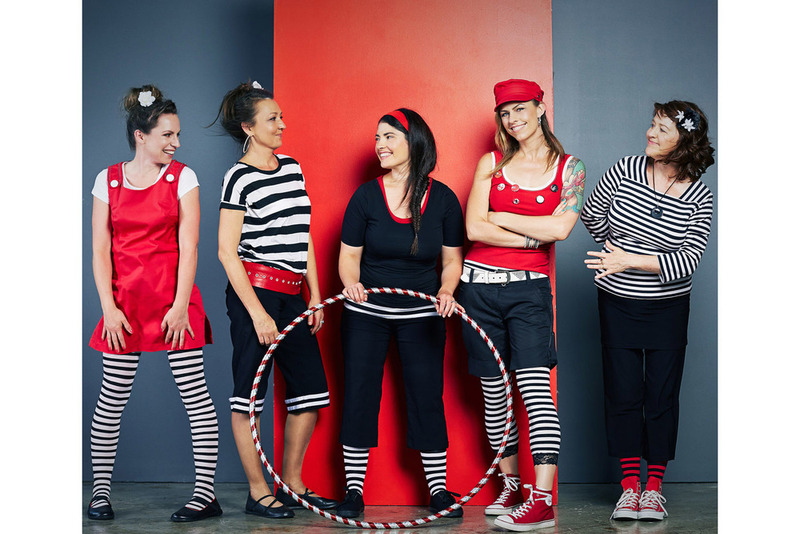 Renowned for their award-winning songs, brilliant harmonies and stunning live performances for children, these five women inspire young audiences to shuffle, clap, dance the mambo, snap their rat traps and sing in all kinds of creative ways! Their rhythmic vitality, humour, onstage synergy and musical sophistication sets them apart from most children’s performers. The songs of Coco’s Lunch incorporate jazz, world music styles and vocal soundscapes with originality and inventiveness, exploring an exotic palette of percussion, improvisation and vocal sounds that fire the imagination in every listener! In 2015 Coco's Lunch were invited to take their I Wanna Be A Mermaid show to the Adelaide Cabaret Festival, curated by Barry Humphries. Coco’s Lunch received an Australian Recording Industry Award (ARIA) nomination for Best Children’s Albums 2007 for their CD release Rat Trap Snap! For years, Coco’s Lunch were a favourite at the Sydney Opera House, where they have performed their magical interactive shows for the Babies Proms program to sell-out audiences in 2004, 2005, 2006, 2008, 2009 & 2011. Their show Sounds of the Sea was described as the ‘HIT OF THE FESTIVAL’ at Queensland Performing Arts Centre’s ‘Out Of The Box’ Festival in 2008. Coco’s Lunch were also festival favourites at the Capital E National Arts Festival NEW ZEALAND with their 2009 show Rat Trap Snap! 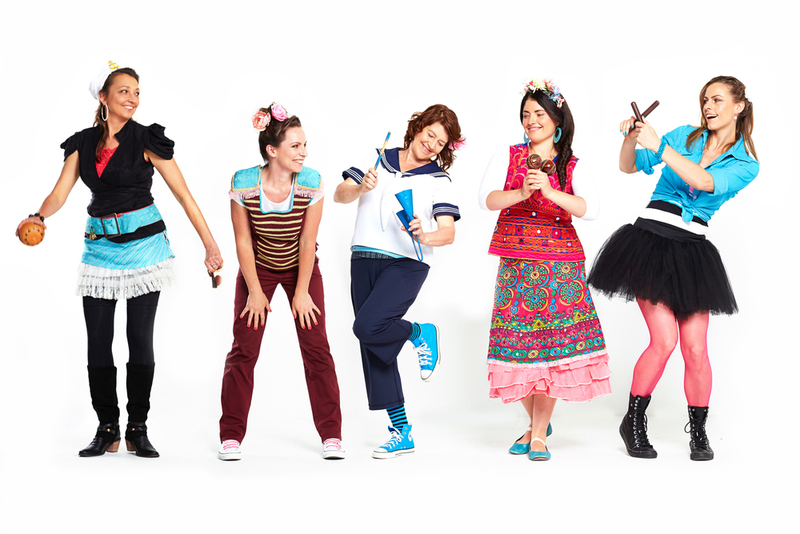 In 2008 Coco’s Lunch packed out the ADELAIDE FESTIVAL CENTRE for the Something On Saturday program, and in 2007 performed spellbinding children’s concerts for Chookahs Festival at the Victorian Arts Centre. Their interactive music/theatre show ‘A Frog In My Throat’ sold out at the SYDNEY OPERA HOUSE Babies Proms program in 2006 and went on to enjoy a successful season for the Powerkidz festival at Brisbane Powerhouse. In 2004/05 they performed seasons at the Famous Spiegeltent and the Victorian Arts Centre in Melbourne, as well as two seasons at the Sydney Opera House. 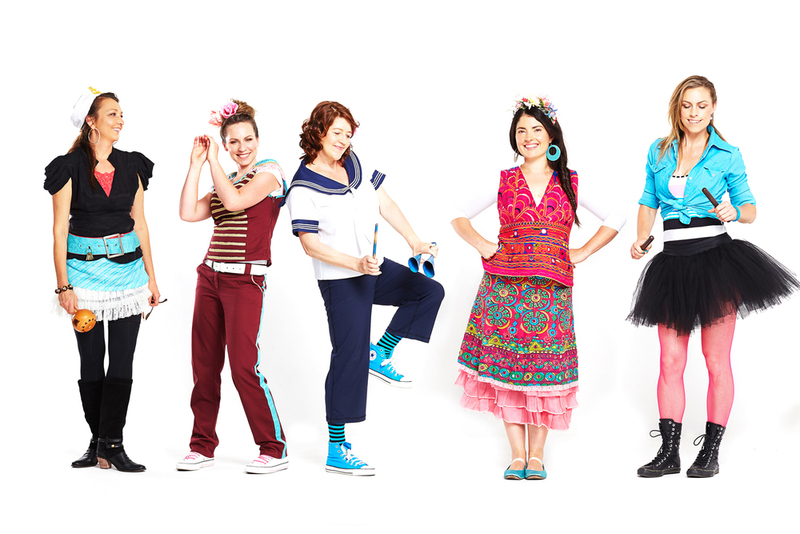 Aside from performing for the SYDNEY OPERA HOUSE Babies Proms and House Ed programs, Coco’s Lunch have been the only ensemble to be invited by the Opera House to perform for 2 consecutive years for the Utzon Room Music Series for grown-ups! Coco’s Lunch spent 10 years performing interactive educational shows in schools and concert halls throughout Australia and Asia with the Musica Viva In Schools and Export programs. They have conducted workshops and performed in Indigenous communites in regional and remote areas around Australia, and in 2005 were invited to perform concerts and workshops at the Australian Society for Music Educators conference in Melbourne. Coco’s Lunch compositions are used as resources in classrooms, universities and by choirs all over the country, and Coco’s Lunch sheet music is now purchased and performed by professional choirs and vocal ensembles around the world. In their contemporary adult work, Coco’s Lunch were 1 of 12 international ensembles invited to perform for the 2010 POLYFOLLIA 4th WORLD CHORAL SHOWCASE in FRANCE to over 100 festival directors from around the world. In 2006 the group headlined at Tasmania’s Festival of Voices and performed headlining concerts for the the 7th International Taipei Choral Festival at the Taipei National Concert Hall in Taiwan. In 2004/05 They performed to standing ovations across Europe and Canada and their concert for Festival Vancouver at the University of British Columbia was given repeat national broadcast by the Canadian Broadcasting Commission.